You have finally settled on buying an automobile. You have found the exact make, model, and color that you want. Now comes the most difficult part: signing the papers. 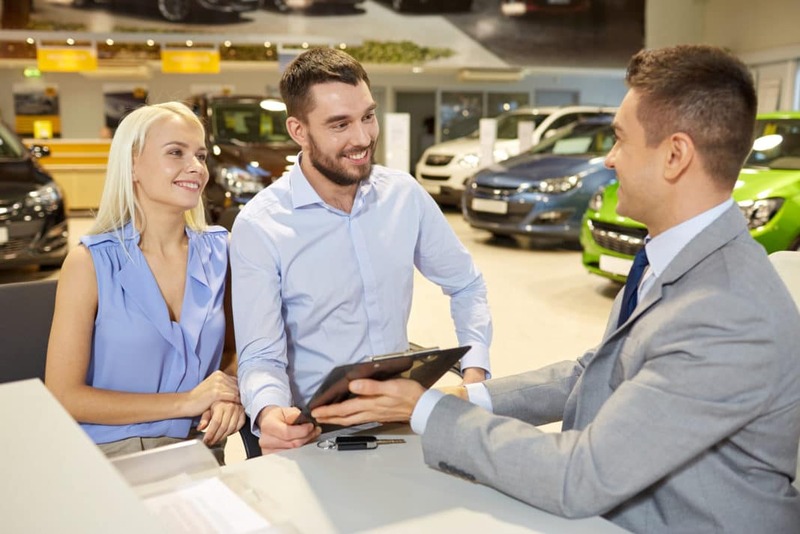 If you don’t have your financing in place before visiting the dealership, then you will have to apply for dealer financing. The salesman and finance manager will try to sell you everything from extended warranties to floor mats. You will have to be prepared for the never-ending sales pitch that is about to come. In this post, I am going to delve into how to negotiate a car loan, which is one of the key areas you need to master when trying to take advantage of our 5 tips on how to buy a new or used car from a dealer. 1. Always negotiate the price. This may sound simple enough but it can actually be difficult. One trick that is often used by car salesmen is to get you negotiating payments. You will be asked questions like: “How much are you looking to pay per month?” or “What do you want your payment to be?” Car salesmen love to negotiate payments as opposed to the actual price of the car. That’s because they want to set the price based on the maximum monthly payment that you are willing to pay. If you fall for this tactic, you will end up paying a whole lot more for your car. Negotiate the price, not car payments! 2. Keep your loan term as short as possible. Dealers have come up with creative financing programs that will allow borrowers to lower their monthly payments. They do this by lengthening the number of years on the auto loan. Today, borrowers are allowed to finance a car for up to 7 years. This is absolutely ludicrous! A car is a depreciating asset and is losing value every year. The best loan term is 4 years or less. The maximum is 5 years. Under no circumstances should you ever take a car loan over 60 months or you could very well find yourself with an upside down car loan. 3. Skip all of the extras. Finance managers will try to get you to buy every option available. They will sell you gap insurance, rustproofing, fabric protection, extended warranties, paint protection, and car alarms. Many of these are useful items but the dealer markup is ridiculous. They make huge profits by ripping customers off on these products. You can get extended warranties and car alarms cheaper aftermarket. Rustproofing is not essential for modern cars. You can apply Scotchgard and paint protection yourself for a few bucks. Gap insurance is sold at most credit unions for a much lower price. 4. Say no to high interest loans. Your credit rating will determine the interest rate that you get. Just because your credit is not tip-top does not mean that you have to take a loan with a ridiculously high interest rate. Individuals with good credit will get loans with single digit APRs. Individuals with average credit may get loans at 10% to 12%. Individuals with bad credit will be offered loans at 15% or higher. Many people with bad credit accept loans with interest rates as high as 24%. Never take a loan with exorbitant interest rates. No matter what your credit situation, it is never worth paying usurious interest rates just for the right to own a car. 5. Keep emotions out of your decision. Buying a car can be an incredibly emotional decision. After you have gone out for a test drive and gotten a whiff of that new car smell, it can be difficult to leave. If the dealership is unwilling to negotiate, you should be prepared to walk away. Remember that they are not doing you a favor by selling you a car. You are paying money for this automobile. Don’t allow your feelings to get you stuck in a bad car loan that you will regret for years to come. Do you have any horror stories from when you negotiated your auto loan? Any additional tips you have for negotiating a car loan?